I try to remind my students to keep it simple. 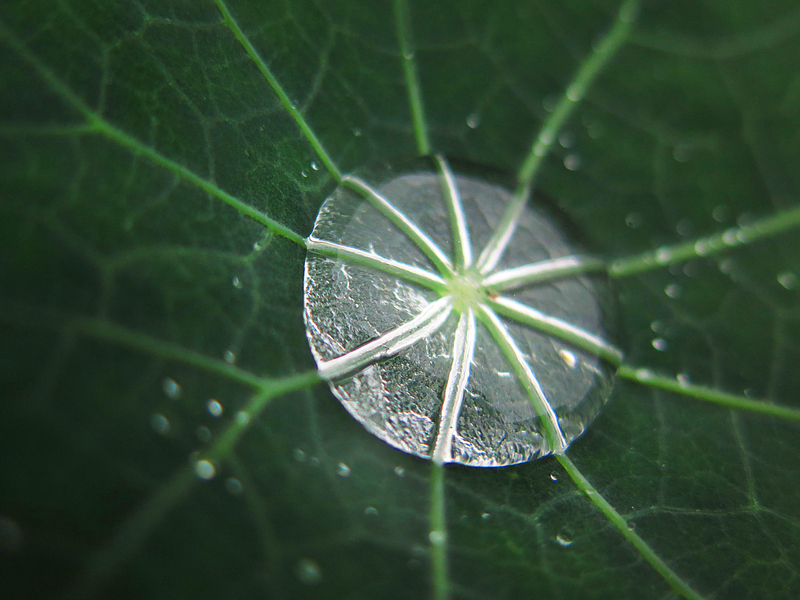 As Picasso said, “Simplicity Is the ultimate sophistication.” With our point and shoot cameras, I wondered how close I could get to a drop of water, resting on a leaf during a rainstorm. I also like the connections we can make with a photo like this and subjects as diverse as symmetry, ecology, geometry, fractions, translucence…the list goes on. One of the best ways I've ever found to teach picture taking is to model the activity, both failures and successes.